Well!!! comments are indeed a very vital and encouraging factor for each and every blogger.We also comment on blogs/sites of our niche and it is also recommended to comment on atleast 10-12 blogs/sites each day.But while commenting we tend to forget the security threats we may encounter while commenting on a site or blog.A simple comment that you drop on a blog/site can endup in compromising your box.So,in this post I will try to bring out the security threats you may encounter while commenting on a blog/site. 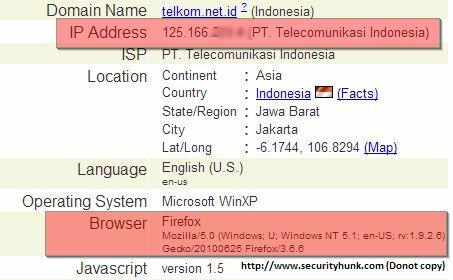 Nowadays almost all web pages have their own Ipaddress tracking mechanism or any third party tracking mechanism installed by which they can track the visitors. 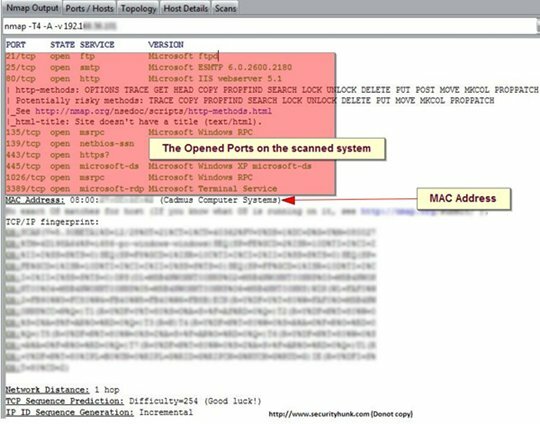 2.Port Scanning: Scanning for the open ports. 3.Banner Grabbing: Get the version about a desired service running on the box. 4.Vulnerability search: Search an exploit for the a particular version of a desired service. 5.Use exploit to penetrate: Use the exploit to get in the box and own it. Suppose you are commenting on a Wordpress blog see what information the admin logs about you,as shown in the screenshot below. In the above screenshot you can see the admin gets your browser details along with your Ipaddress. Similar if you are commenting on a Blogger blog with a third party tracking tool installed then see the below screenshot below. Suppose the admin have your Ipaddress he/she can follow the above mentioned steps,below I have shown only the portscanning with Nmap and see how it reveals the opened ports on the target. So I recommend while commenting on any webpage do use a VPN or Proxy(Socks is good) to mask your real Ipaddress. Well, i was not aware from these threats. Thanks for updates. So how can we keep our self safe from this? @Satyajit How do I mask them? how can we know whether its safe to comment on a website or not?? is there any specific method or code and any particular precaution that could be taken to avoid these attacks.